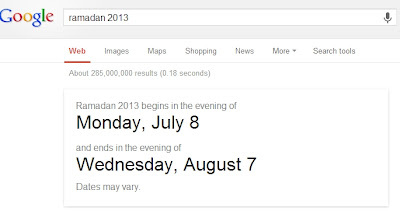 I've heard people asking if July 9, 2013 is a holiday because it is the beginning of Ramadan, the month of fasting in the Islamic Calendar. The answer is NO. 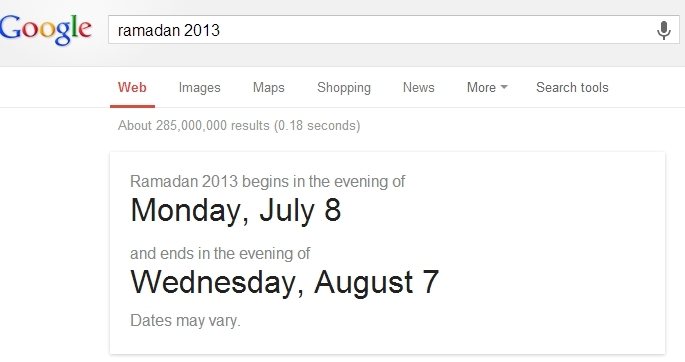 Instead, the Philippines is celebrating the end of Ramadan through the Islamic festival called Eid'l Fitr. This year, it was scheduled to be celebrated in the country this August 9. That date is a special non-working holiday nationwide.